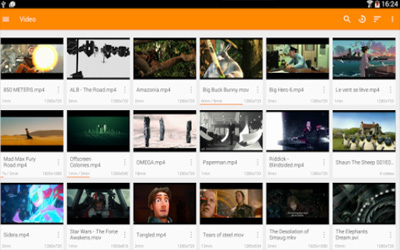 This is old version VLC 2.0.5 apk for Android, you can install it if you want to downgrade or install old app. It is top Media & Video apps from Videolabs. So, you do not need to be worry if your video will cannot be played in this video and audio player application for Android. By using this video player, you do not need to be busy to arrange your files. VLC will directly arrange your files into some classification. For the example, you can see from the classification based on artist name. You also can find the feature of powerful playback option in this application. You can manage the playback as you want. So, what do you think about this kind of application? This sounds interesting, is not this? To get the installation setup of this application is not a difficult thing. You only need to find it in your Play store, and you will get the installation setup. After that, just start to install the application, and enjoy the features! That is all about VLC for Android! 2.0.5 is an update fixing ARMv8 phones, improving MKV and grouping support.